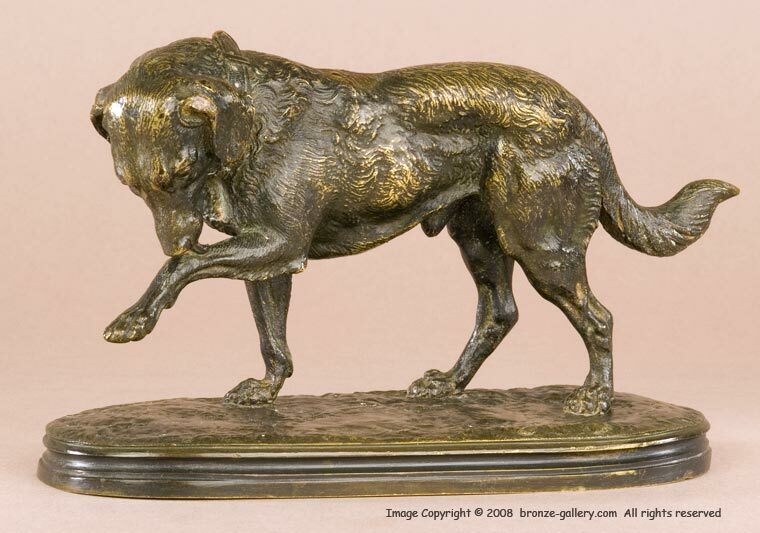 Victor Chemin created several small models of dogs during his career. 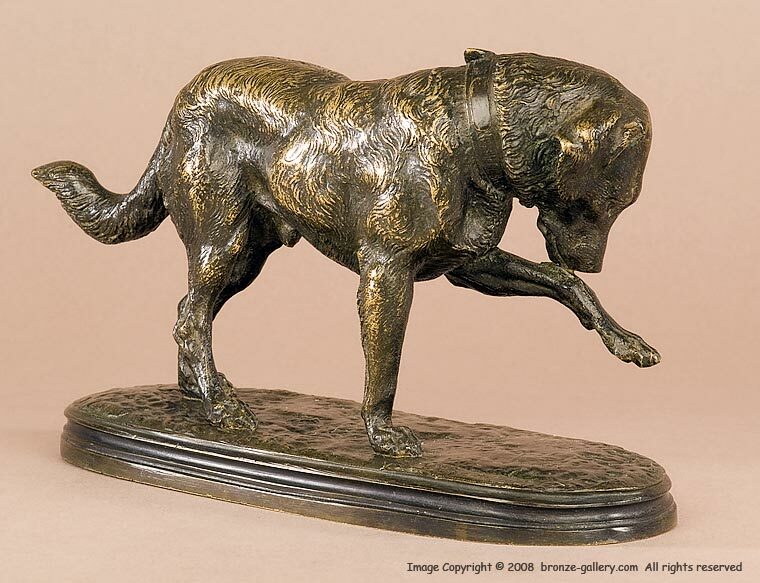 He depicted hunting dogs at work and at play, and his dogs are well sculpted and true to life. 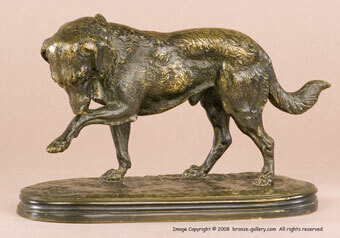 This bronze shows a Dog, perhaps a Collie or other herding breed, licking his leg. The dog's shaggy coat is well done and the bronze has a light brown patina.